St. Lois, MO At a press conference held in St. Lois, MO two rappers from different coasts came together to unify forces in their fight against global warming. As reported last week, LL Cool J said global warming makes it hard to stay cool. Coolio, also a huge supporter of helping planet earth and its inhabitants stay �cool,� decided to join forces with LL after reading the article by Generally Awesome. Other rappers came out to add their voices to the mix. Aides from each posse admitted that the motivation for holding the press conference in St. Lois was in part out a desire to meet each other half way and in large part out of a desire to include long-time global warming activist and rapper Nelly. Nelly has been a huge proponent of raising awareness for global warming and devising creative solutions for dealing with global warming. �Now do you all understand what I meant when I said, �It�s getting hot in here, so take off all your clothes�?� Nelly asked reporters. Long-time cross-coast rivalries were set aside for the performances that followed the press conference. 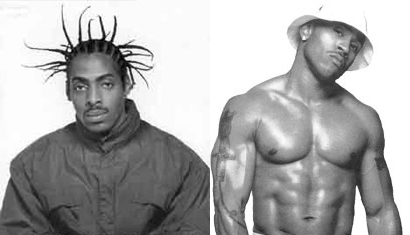 Popular anti-global warming anthems were played by a number of rappers including Coolio and Snoop. At the conclusion of the concert Snoop Dogg promised to do his part to clean up the atmosphere by pledging to reduce his own �Green Leaf� Smoke emissions by 60% over the next 4 years.